Apple has revealed the Cupertino company’s plans to use electromagnetic induction technology in their products in the future. Electromagnetic Induction is basically a production of an electric current in a conductive element as it moves through a magnetic field, which in turn is used to generate power. 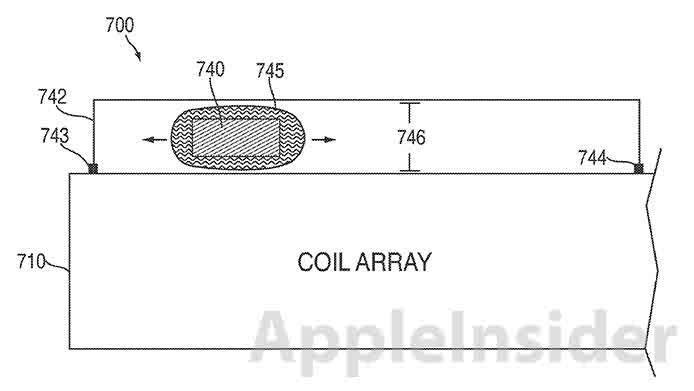 Apple will be introducing this technology somehow in their products in the future but unlike the more traditional method of electromagnetic induction, Apple’s version will use printed coils with moveable magnets, while the typical version is the opposite where a coil will move around a stationary magnet. Seen below. According to the patent, it can be mounted onto a portable device with Apple’s iPod and iPhone used as examples. Apple has applied for a patent that would allow users to control various aspects of their iPad using backside controls. This looks to help iPad users experience a new way of gaming on their tablet. The sensor-based controls are positioned right under the surface of the iPad so that it does not resemble physical buttons. 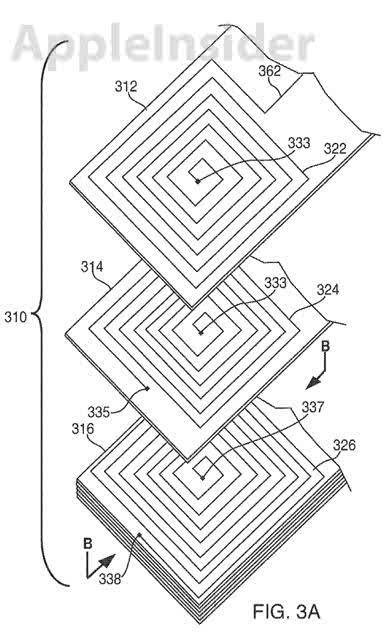 Of course since this is just a patent application, rest assured that this technology won’t be on any iPad in the near future. An issue Apple must face in developing these controls on the iPad is that in order to detect where your hands and fingers are, more sensors are required to come into play, which means more battery life will be drained from the device. Apple will have to find a way to implement these backside controls to be easy to use while gaming and also not run out the battery in hurry. I really like the idea of having backside controls on a tablet, just the way a tablet sits in your hands, depending on the size, it seems to me that extra buttons on the back of the tablet could really help while playing games or for whatever other use Apple may have in mind. I always like the idea of the backside control on the Motorola Charm, although the phone itself may not be the best device I still like the control panel on the backside and I have always found myself in situation where I find it would be convenient to have back controls on my BlackBerry. 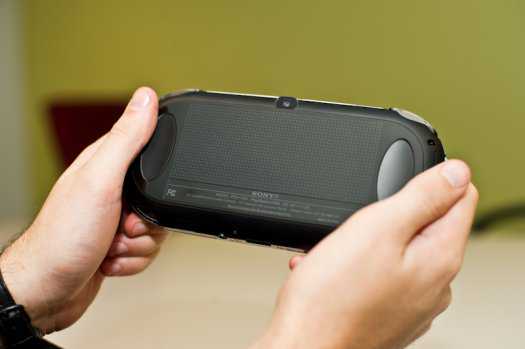 Also Sony has the PS Vita which introduced many to a new experience in gaming with their backside control panels (shown off in photo below). 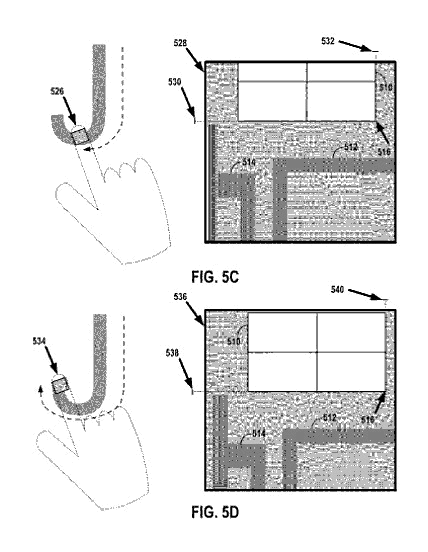 Google has been granted a glove-based gesture controlled, see with your hands, patent from the United States Patent and Trademark Office (USPTO) The patent uses a hand-mounted sensor that records the environment through a detector then works out what motion occurred. 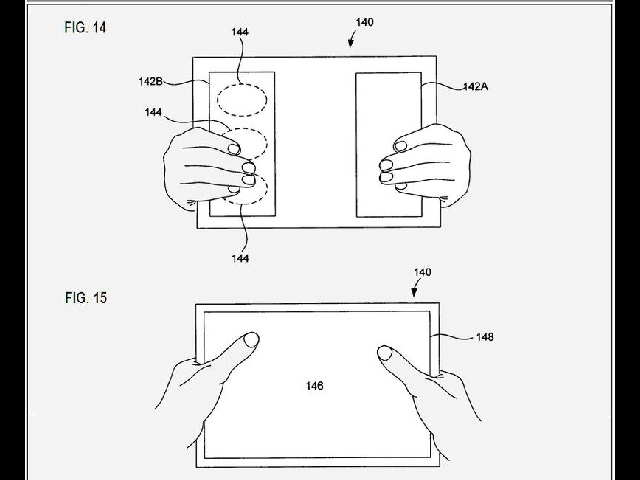 This would allow for gesture controls on non-touchscreen surfaces. 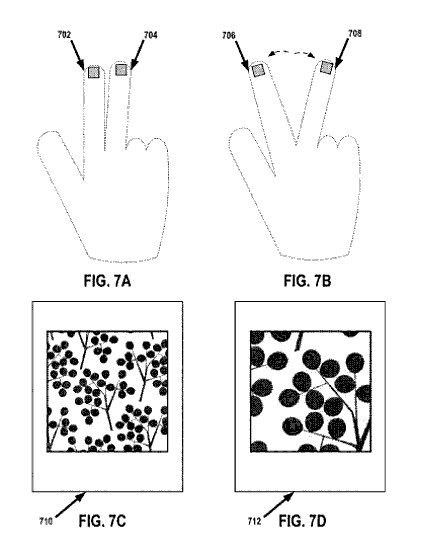 A sensor could be on one finger taking images of a surface while the other user draws a letter. The two images then are compared and the distance and direction traveled between the two would be worked out similar to the way an optical mouse works. By using multiple sensors on multiple fingers and take multiple readings the system can figure out what letter is being written and can also detect gesture control commands such as pinching. This is one of many patents Google has filed for control systems this year.